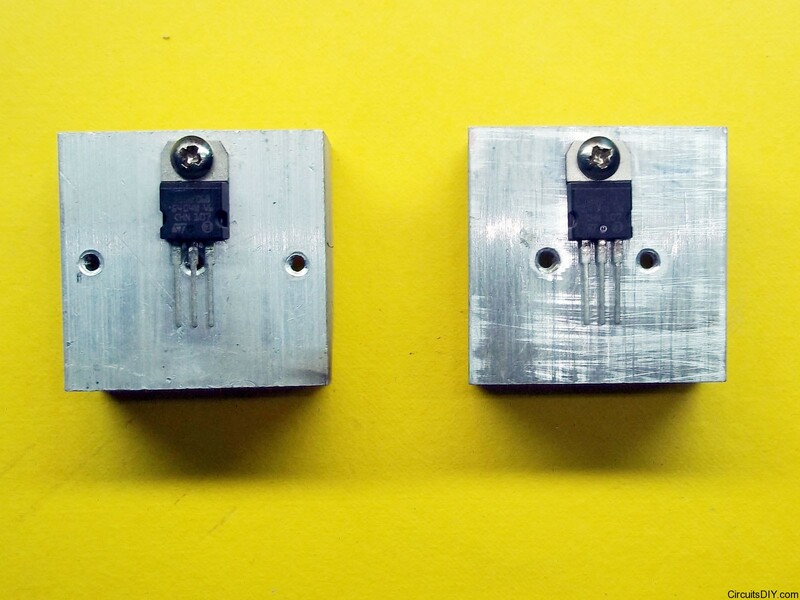 First we need to place the MOSFETs in the heatsinks in appropriate place so that the heat tab i.e, metal part of the MOSFET body is as close to the mid area of the heatsink. This way more heat will be dissipated by the heatsink. 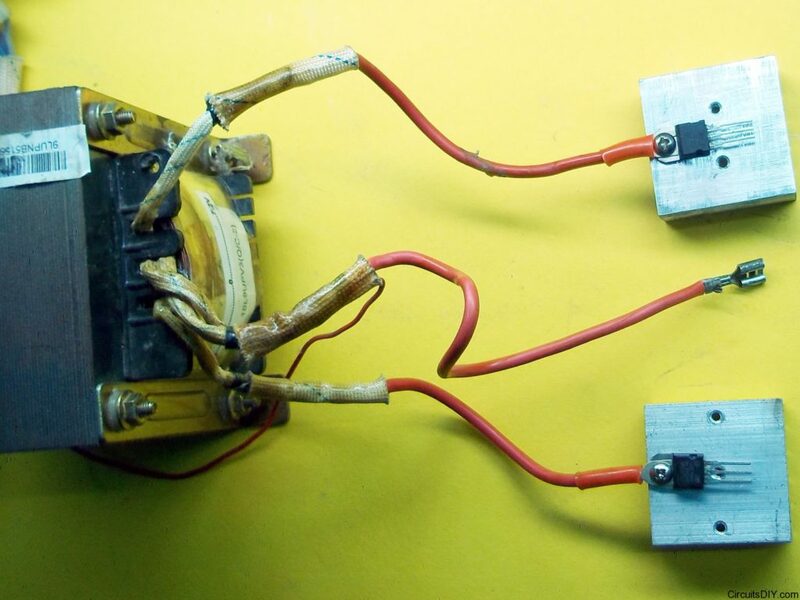 Now we look at the transformer salvaged from a Microtek UPS. 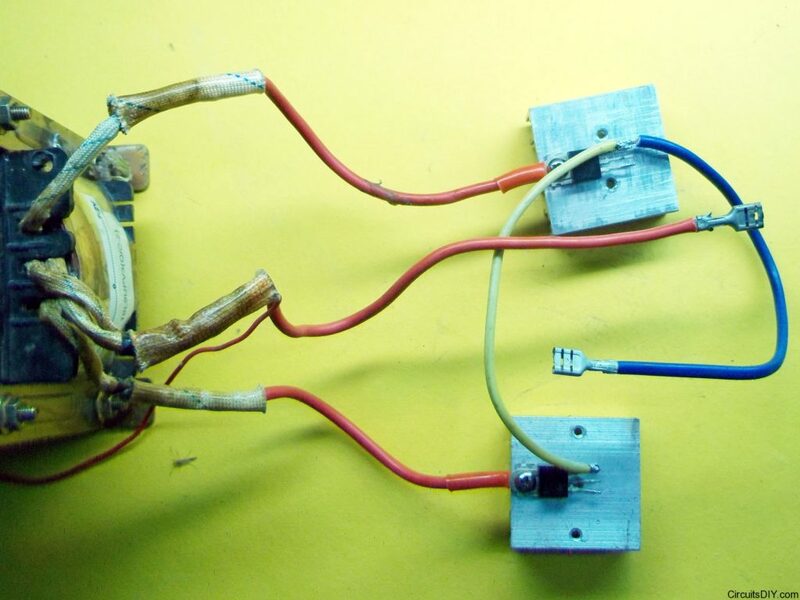 This has a lots of pins for different voltage outputs in one side and 3 input lines for 7.2V–0V–7.2V. 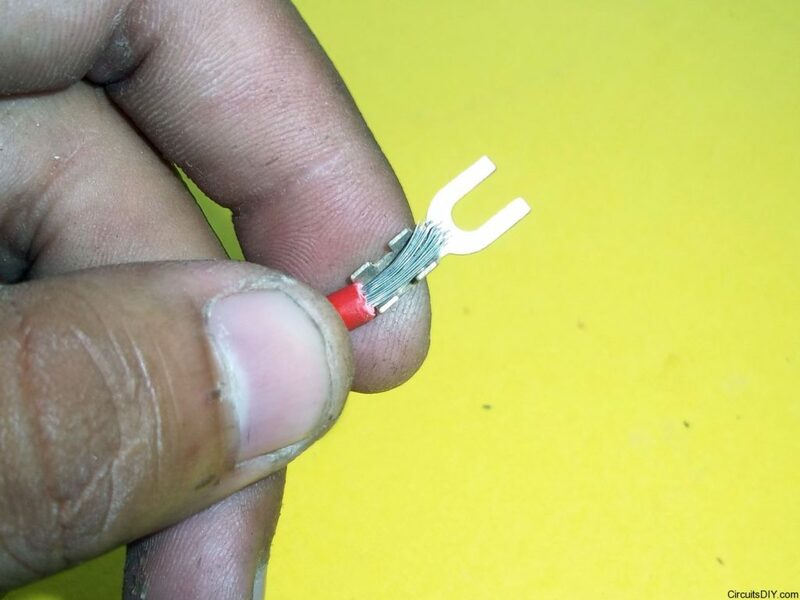 Now we attach the spade type connectors to the primary wires by using a pliers. The pro of using spade type connector w.r.t using ring connectors is that we can easily mount/unmount them by loosening and tightening the screw, without completely unscrewing them. 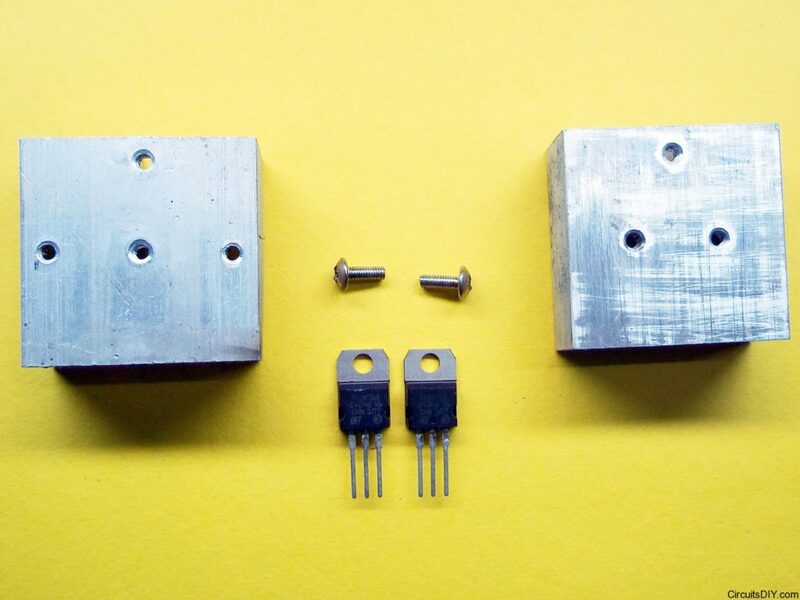 We insert the terminals of both 7.2V lines to the heatsinks of the MOSFTEs in the same screws. Now we connect the battery negative connector to both MOSFET’s 3rd pin. 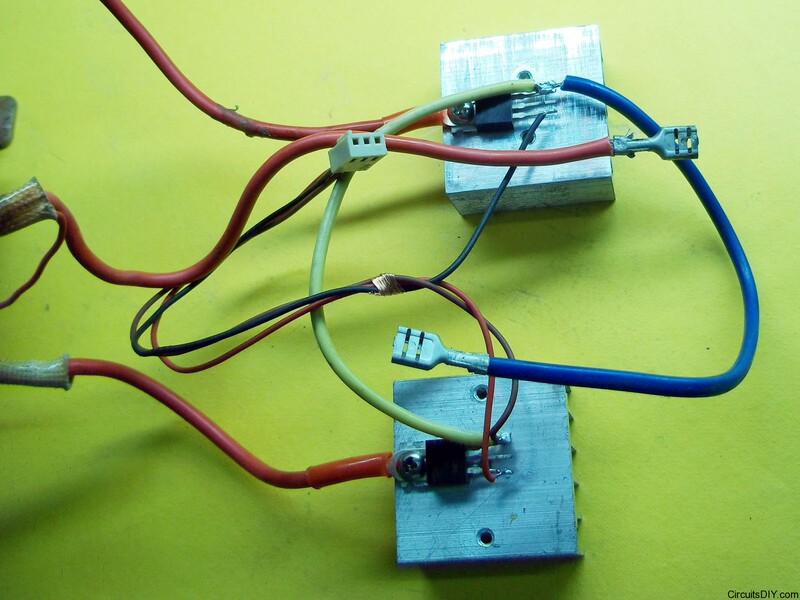 Now we take a 3pin connector and connect the middle pin with the negative line , and connect the rest two wires to the 1’st pins of the MOSFETs i.e, the GATE terminal. 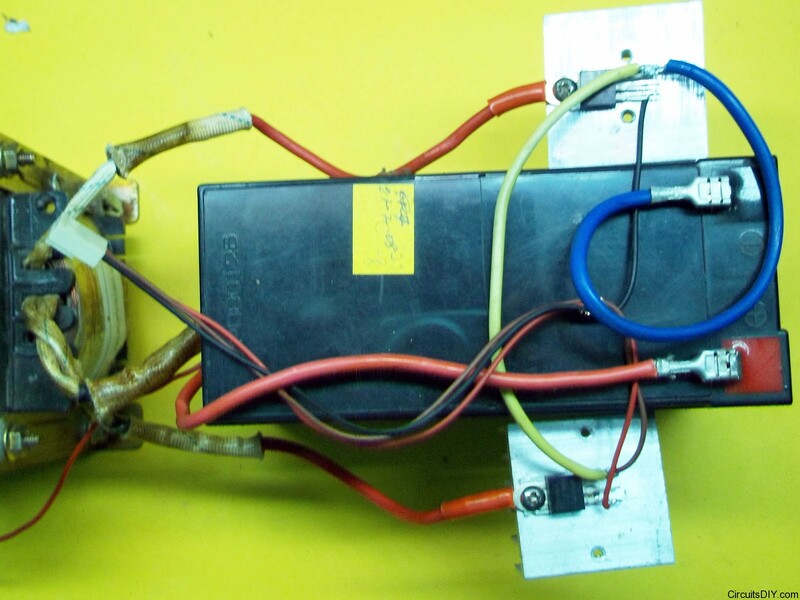 Now this is ready to be connected to a battery and the connector can be connected to an inverter oscillator board like 74LS112 Inverter Oscillator. thank you so much.its solve my problem.but what the use of resistance..i see a lot of resistance and condencer..around the mosfet. HW do i asemble an SN3524 ic. 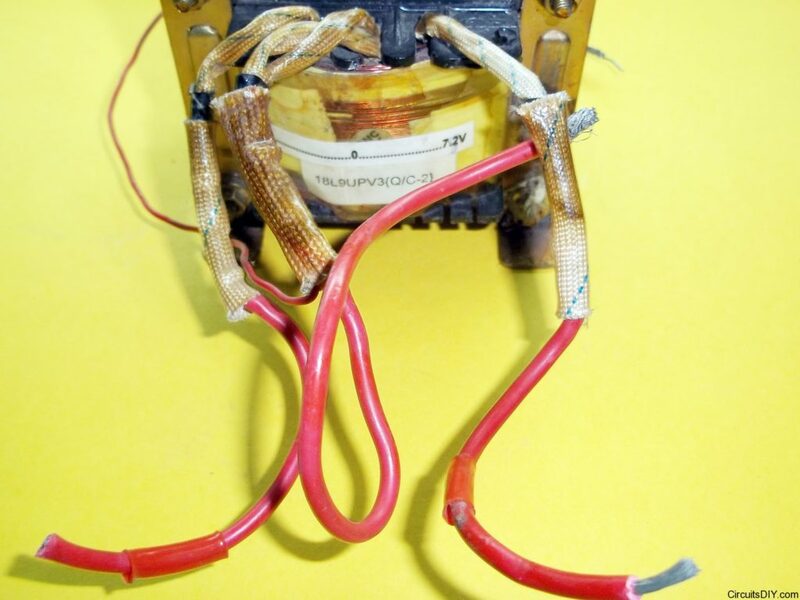 I’ve got a doubt I’ve seen some 8 pin transformers in inverter circuits what is that how do i test it and know its ratings. hello arup , i am in need , please have a meet with me . any one who have knowledge in electronic circuits , please meet me at 9015404168. i m proprietor at futuretechelectricals. Hi arup,pls am working on an inverter projet but would like to know b/w CD4047 and SG3524N, the best to use as my driver generator!! !